Not sure how this is going to go. I didn’t put Emily down for her nap today as we got home late from church and our picnic at the light rail museum but just in her room for quiet time and she isn’t being very quiet and she isn’t very happy about it. She is at least quiet now but it is almost time for quiet time to be over and I haven’t posted anything. 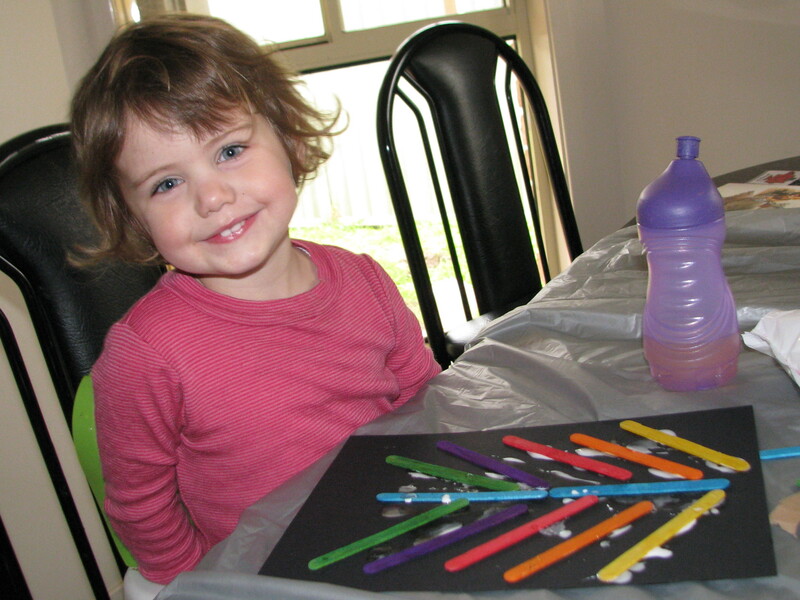 We need to make a Father’s Day card and wrap a father’s day present when they come out of their rooms. 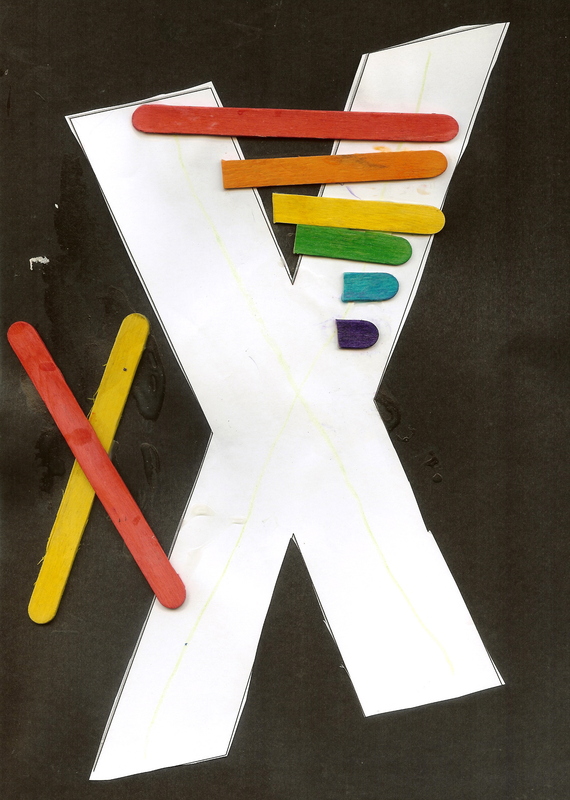 This week at Alexander’s preschool the letter of the week is x so I thought I would do some crafts about that. The first one I found an x-ray of Daniel’s chest and showed it to the children and we counted ribs. 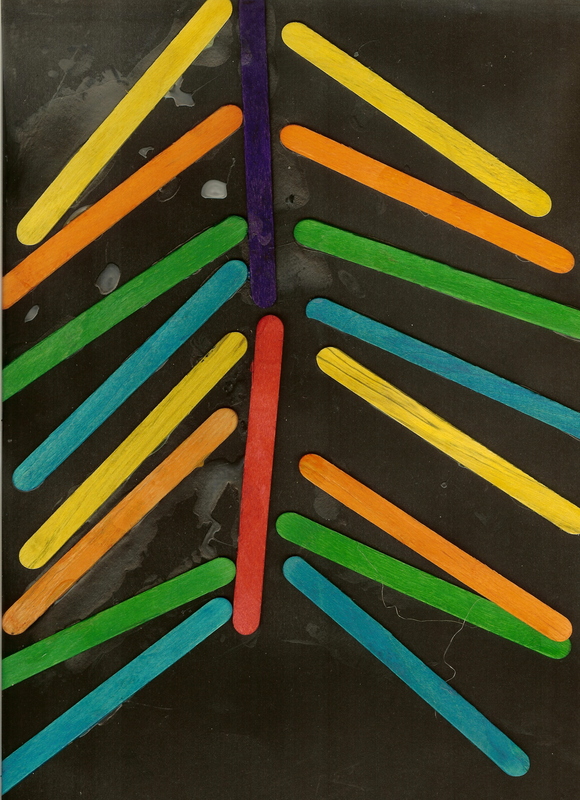 Then we used paddle pop sticks for the spine and the ribs. Emily just used every colour and Alexander made a colour pattern. 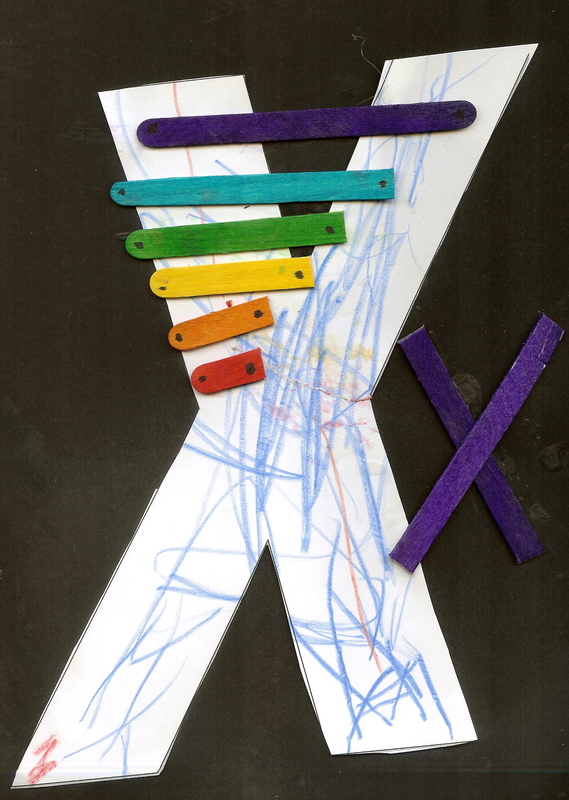 Then we made x for xylophone. I printed out a large x on the computer, Emily coloured it in with crayons while Alexander decided just to write X over it. 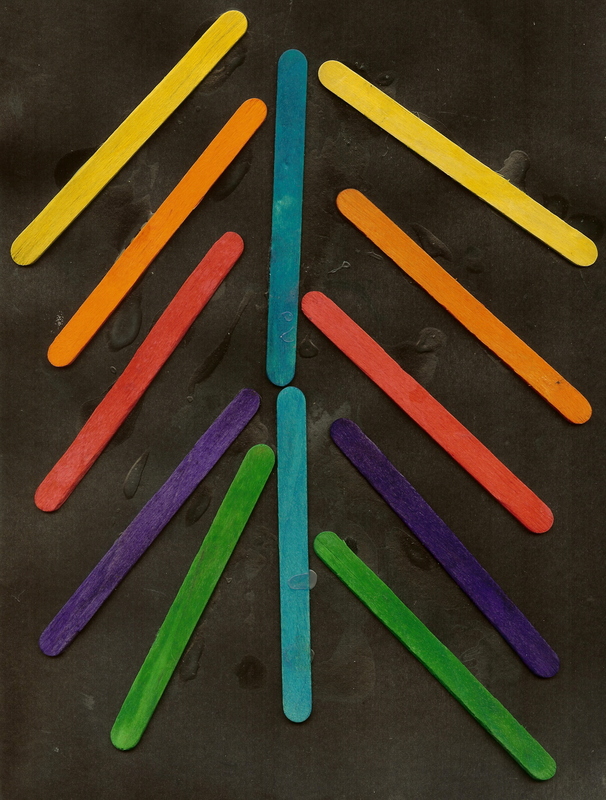 Then using the paddlepops I cut them down to size and following the xylophone we had which had the keys in rainbow colour order we ordered it that way. We then made an x with crossed chopsticks. I will have to say this wasn’t my idea, I found it on (guess where!) No time for flashcards, though I used the paddlepop sticks instead of foam cutouts. Lots of fun with glue. 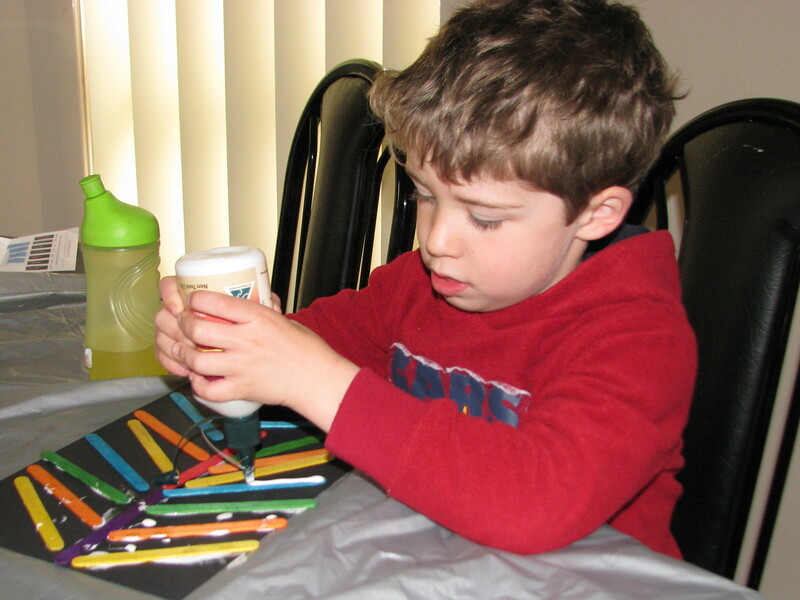 While doing this craft we found lots of broken crayons and we decided to recycle them but Alexander is here at my elbow and it is after 3 and Emily is playing nicely but time to make that Father’s Day card, so I will have to post about that tomorrow.